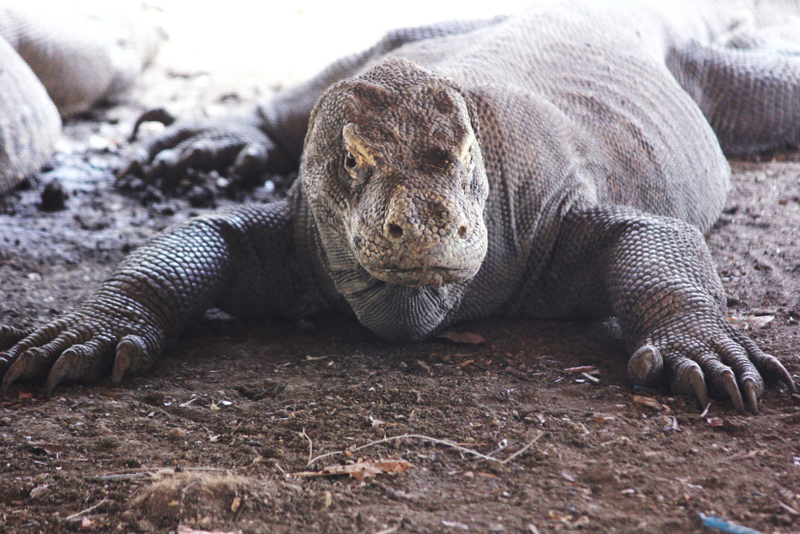 an 8 ft. male adult komodo dragon at rinca island, komodo national park september 2014. This entry was posted in indonesia, photos and tagged east nusa tenggrara, island, island gigantism, komodo dragon, komodo national park, photo, photography, reptile, rinca, varanidae, west manggarai regency. Bookmark the permalink. That is one very mean looking dragon, makes our crocodiles look like little geckos. Are you not afraid of this big monster ? we had an accompanying park ranger (with a forked stick for defense) at all times between us and the dragons.